Forest Garden Ripon Log Cabin 4.0m x 2.8m: The Forest Garden Ripon Log Cabin is a unique space-saving corner design building and is a mirror image of the Pickering Log Cabin, allowing you to choose the best solution for your garden. 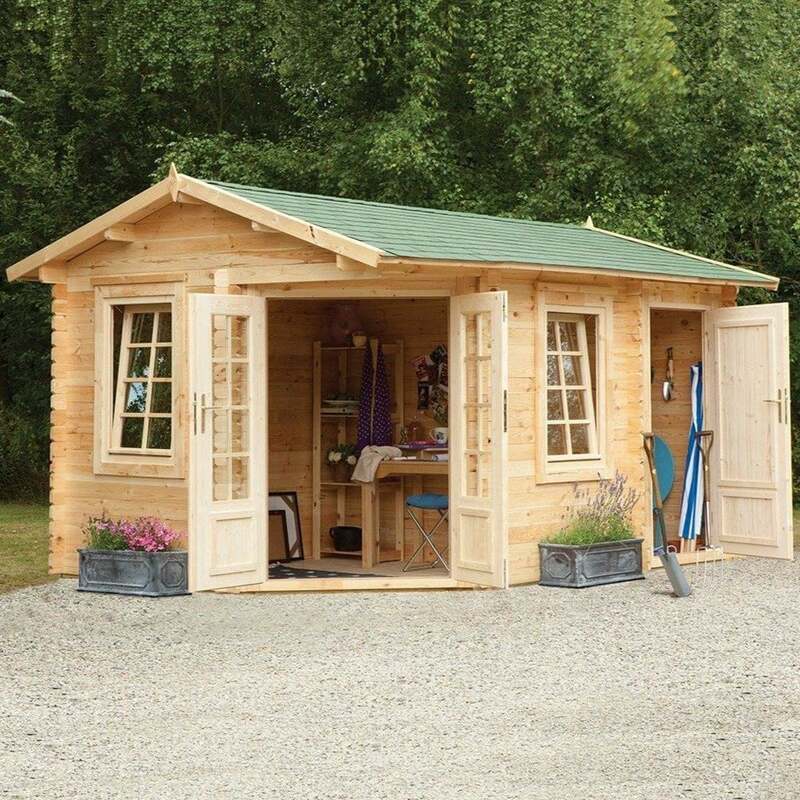 The 4.0m x 2.8m Log Cabin also includes a separate integrated storage area with a lockable solid door making it an ideal for protecting and storing your garden tools and equipment. The Ripon Log Cabin is manufactured with kiln dried 34mm machined logs and 19mm tongue and groove roof and floor for a robust construction. The Forest Garden Log Cabin feature double glazed doors and windows to help insulate the cabin and are finished in traditional styled Georgian bars. The two large opening windows allow plenty of natural light into the cabin and ample ventilation during the warmer months.